While many upgrades can bring value and performance to a home remodel, the most popular upgrades today are those that are focused on energy-efficiency. This doesn't mean that homeowners need to sacrifice style for savings. Today's home designers and product manufacturers have ensured that new kitchen and bath remodel options bring the elements of style and green living together, which is something that Cornerstone Design & Remodel is proud to offer its clients. One example is with regards to a bathroom remodel the plumbing fixtures and water usage. Instead of treating the human body like something going through a car wash with multiple shower heads, the more popular choice these days is to opt for a low-flow shower head that will be both functional and save resources. Also, high-efficiency solar water heaters can save energy and provide the home with the hot water resources that it needs on demand. Some of the most energy-efficient upgrades in a kitchen remodel come in the form of replacing older appliances with new, eco-friendly models. As home appliances account for as much as 13% of a household's energy costs, upgrading can bring significant cost savings. The U.S. Government's ENERGY STAR program estimates that one of their ENERGY STAR-rated refrigerators will be 20% more efficient than a standard model, and a dishwasher will use up to 5 gallons less water per cycle than an older model. When doing a kitchen remodel, Cornerstone Design & Remodel helps clients to select the right appliances for the space as well as the ones that will save them the most in energy bills. 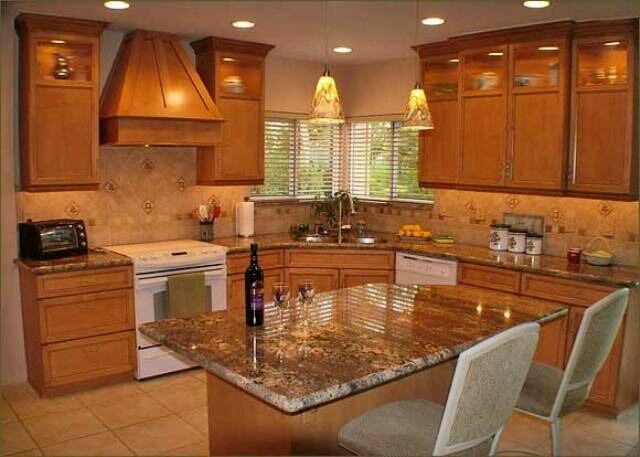 Structural changes in bath and kitchen remodel projects can also bring new efficiencies to a home. Whether it be the elimination of potentially leaky window in a bathroom or providing better insulation around lights and other possible air leaks, each of these is a potential gain that results in savings on the household's bottom line. Bathrooms that are equipped with a humidistat and rooms in the home that are maximized for the best indoor air quality gives home owners peace of mind as the chance of mold in the future will be significantly reduced. Initiating a project to update a kitchen or bathroom is a big undertaking. While these remodels give better returns on resale than other home improvement projects, realizing immediate gains through energy-efficient updates is an even smarter choice. The kitchen and bath designers at Cornerstone Design & Remodel are experts in providing customers with unique designs for their projects and courteous service throughout the process of creating a dream kitchen or bathroom that is also energy-efficient.